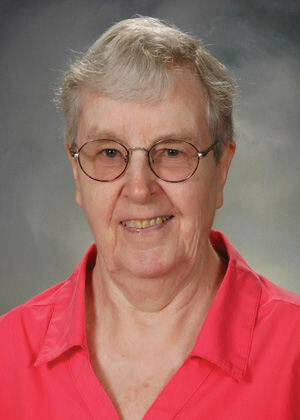 Sister Patricia O’Rourke, BVM, 90, of 1130 Carmel Drive, Dubuque, Iowa, died Monday, Feb. 11, 2019, at Caritas Center. Visitation will be from 9-10:15 a.m. on Thursday, Feb. 14, 2019, in the Marian Hall Chapel. Sharing of Memories will be at 10:15 a.m., followed immediately by the Mass of Christian Burial. Burial is in the Mount Carmel Cemetery. Sister Patricia was an elementary principal and teacher at St. Patrick in Cedar Rapids, Iowa, and St. Irenaeus in Clinton, Iowa. She also ministered as an elementary and adult education teacher in Chicago. She was born on Dec. 25, 1928, in Chicago to William James and Agnes Bradley O’Rourke. She entered the BVM congregation Feb. 2, 1950, from St. Eulalia Parish, Maywood, Ill. She professed first vows on Aug. 15, 1952, and final vows on Aug. 15, 1957. She was preceded in death by her parents; brothers William, James, and Charles; and sisters Agnes Atherton and Margaret Rose O’Rourke. She is survived by nieces and nephews; and the Sisters of Charity, BVM, with whom she shared life for 69 years.